We are all seeing more and more electric scooters on our streets. Sadly, personal injury lawyers are seeing more and more serious electric scooter accident injury cases. Keep reading to learn why these accidents are on the rise, what laws apply to electric scooters in California and how to handle an electric scooter accident claim. The state of California has a justifiably bad reputation for extreme traffic congestion. Many entrepreneurs across California have started to experiment with various means for solving this ever increasing traffic problem. Electric “Bird scooters” or "Skip scooters" can provide a convenient, environmentally sound, low-cost means of transportation for quick trips in urban areas. At the same time though, accidents involving electric scooters are definitely on the rise. This has, in turn, resulted in much more litigation related to such accidents. It's not like you can get going very fast on one of these electric scooters, right? Ha. The speed you are riding the electric scooter is only one small part of the equation of how much damage can be done in a scooter accident. These tiny scooters allow a rider to reach 15 mph – which is more than sufficient to cause anything from mild to serious injuries in an accident. Also, the size of electric scooters is deceptive when it comes to the amount of damage that can be caused. The fact that you can't easily be seen or even solidly take up a full lane of traffic on an electric scooter makes the proposition of an accident all that much more likely. Visibility has always been a problem for motorcyclists and cyclists, who are expected on public roadways. However, electric scooters are even smaller and are NOT expected on our city streets. They are still a fairly new site for motorists to get used to. And all too often, the people who ride these kinds of scooters don’t wear safety gear or even helmets to prevent injuries in the event of an accident. 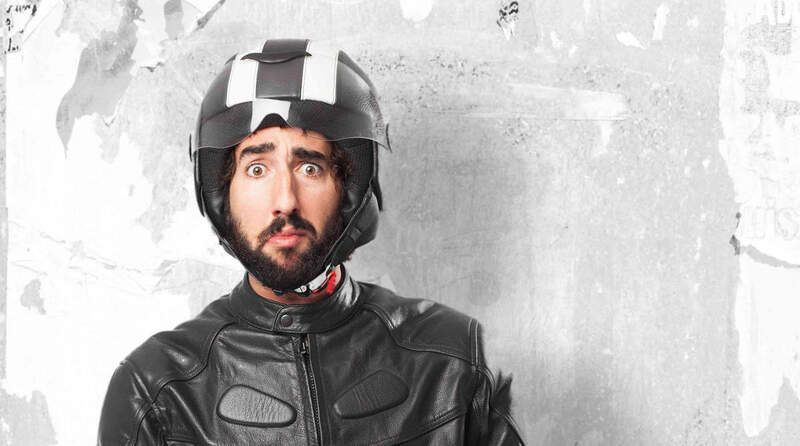 Unlike California's motorcycle helmet law, there is no specific law requiring those over a certain age to wear a helmet on an electric scooter. Certainly, when people are run into by someone on a scooter they are not likely to be wearing protective gear. Even worse, to get around the busy city traffic many of the scooter riders will decide to weave in and out of traffic. They will sometimes even drive up onto sidewalks to get where they’re going a little faster – assuming they make it at all. Unfortunately, this puts not only other drivers in danger but pedestrians as well. There is also an ever-increasing risk of trip and fall accidents because of riders leaving scooters in the middle of a walkway where anyone coming along can simply trip over it. It is much easier to notice a full-size motorcycle and walk around it than it is one of these tiny scooters sitting on the sidewalk. 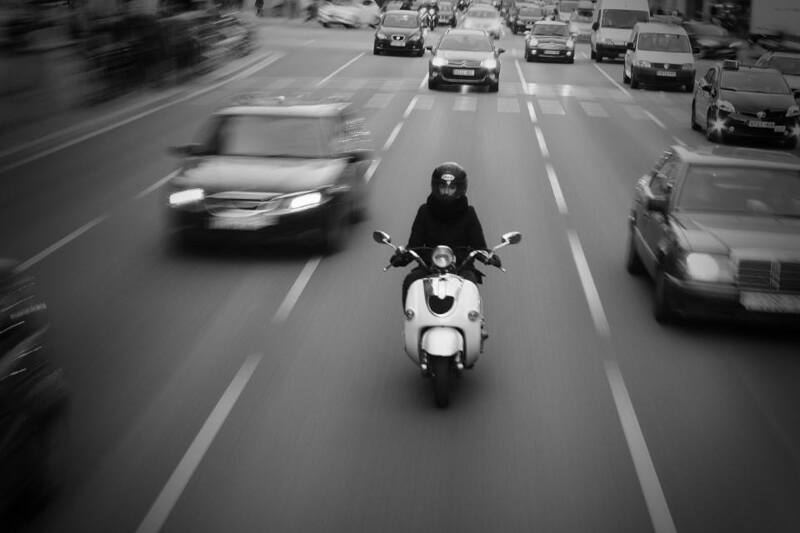 Even as the relatively slow speeds a scooter is capable of, a crash can still result in devastating, life-changing injuries. If someone on a scooter runs into you, you can experience broken bones, tissue damage, severe bruising, neck injuries and even serious brain injuries. These kinds of injuries can actually be life-threatening, but they can also result in permanent disabilities for the injured party. If you experience a scooter accident in California, you’ll want to contact a California scooter accident lawyer. Your scooter accident attorney will be able to help you deal with the aftermath of your accident. "Sally just got me a ton of $$$$$ from a scooter accident. She is easy to relate with and is “good people.” Despite these complications, she kept us from going to trial as she negotiated with the insurance company like a pro (and got more than I expected). 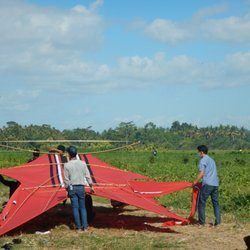 It has been quick and easy and I am so grateful." Experience a serious Scooter accident? 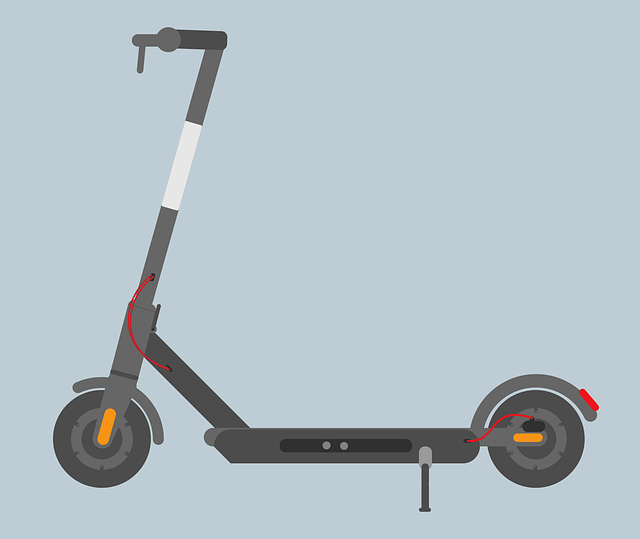 Check out our Scooter Accident Help Page to learn more about how the process works. What Laws Apply to Electric Scooters? The California Vehicle Code (CVC.) governs “motorized scooters,” which are defined as “any two-wheeled device that has handlebars, has a floorboard that is designed to be stood upon when riding, and is powered by an electric motor.” So, Bird Scooters, Skip Scooters and the like are governed by the CVC. According to applicable law, these electric scooters are exempted from some of the requirements the CVC places on motorcycles and automobiles. For example, no registration, insurance or license plate is required for electric (or referred to as "motorized" in the law books) scooters. However, Riders must hold a valid driver’s license of any class. Riders are also required to wear a proper bicycle helmet while operating an electric scooter. I can't say I've seen many people wearing helmets while zipping around town on these little scooters, but they are required by law. Apparently, in an attempt to comply with California's helmet law, scooter-share companies such as Bird inform users “Active riders can request a free helmet from the safety section of the mobile app.” That doesn't do you much good when you are standing on the scooter ready to ride. But, it would be pretty hard for you to successfully sue Bird for a head injury if you turn down a free helmet, or ride the scooter before your free helmet arrives. According to California law, electric scooters must stay off the sidewalk, except as may be necessary to enter or leave adjacent property. This is difficult because it is dangerous to ride these low-powered, low-speed scooters in the street with traffic going way faster than them. Since the sidewalk is off-limits and the roadway can be dangerous, electric scooter riders are encouraged to ride their scooters similar to bicycles --- in bicycle lanes or ride as close to the right-hand curb as possible - except to pass or turn left. Your scooter must have a functional brake. You can't go over 25 miles per hour, unless you are riding in a class II bike lane. No passengers are permitted on electric scooters. If you are carrying a package or anything else with you, you must be able to keep at least one hand on the handlebars. You cannot have your handlebars raised so that your hands have to go above your shoulders to grab them. Do not leave your electric scooter lying on its side on the sidewalk, or parked on the sidewalk in such a way to impede pedestrian traffic. Who is Responsible for an Electric Scooter Accident? Pretty much the same rules apply to electric scooter accidents as in other accidents. The person who caused the accident is responsible for paying for the damages they cause by their negligence. However, this can be difficult to prove. And, with electric scooters being so "new" to our public roadways - well, at least in the volume at which they are now seen, proving that someone else was at fault for your accident, may be tough. As long as you are following the CVC's laws laid out above that apply to electric scooters, you've made a good start. But, that's not enough. You also have to prove that the accident was the result of another's negligence. For instance, if a motorist cuts off your legal right-of-way and collides with you causing you serious injury. Or, if a motorist passes you too closely knocking you into parked cars along the roadway. There are several scenarios where motorists can be at fault for your electric scooter accident. But, we have had scooter riders contact us who clearly caused their own accident because they were not following the basic laws - like not riding on the sidewalk. Whatever the circumstances, if you sustained serious injuries in an electric scooter accident, then you need to speak with a top-rated personal injury lawyer with tons of experience with traffic accident cases ASAP. Whether you need a scooter accident lawyer in Los Angeles, San Francisco or elsewhere in California, Sally Morin Personal Injury Lawyers can offer sound legal advice you can rely on. We have over 20 years of experience in handling California traffic accidents, including serious injury scooter accidents. We are experts in helping clients navigate the complex scooter accident claims process.